Nashville’s Historic RCA Studio A is set to receive a $500,000 renovation that will capture the glory of its 1960s heyday. According to The Tennessean, Nashville-based Anderson Design Studio will restore the retro feel to the studio’s offices, a smaller recording studio and work space. The building’s recording studio will remain mostly unaltered. In 2014, a trio of entrepreneurs, including Mike Curb, Aubrey Preston, and Chuck Elcan, stepped in to purchase the studio, which is located at 30 Music Square West. 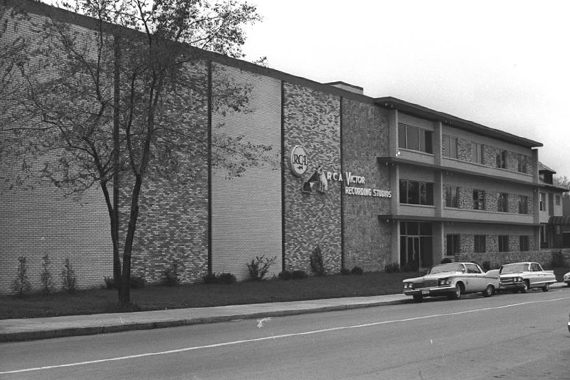 RCA Studio A would also be named to the National Register of Historic Places. In April 2016, producer Dave Cobb, known for his work with artists including Chris Stapleton, Jason Isbell and Sturgill Simpson, took up working residence in the studio. Plans include hanging a replica of the RCA Victor sign, which will be visible from the front of the building. The sign used to be on the building’s exterior for several years. Other changes include replacing tile flooring in the entrance on the front of the building with a late ’60s terrazzo style flooring. The lobby will also have two womb chairs in the same RCA red. Large photos displaying the covers of albums that have been recorded there will line walls throughout the building. Furniture will also be replaced in producer Chet Atkins’ old office, which currently serves as Aubrey Preston’s office. Among the artists who have recorded in the building are Dolly Parton, Willie Nelson, and Charley Pride.